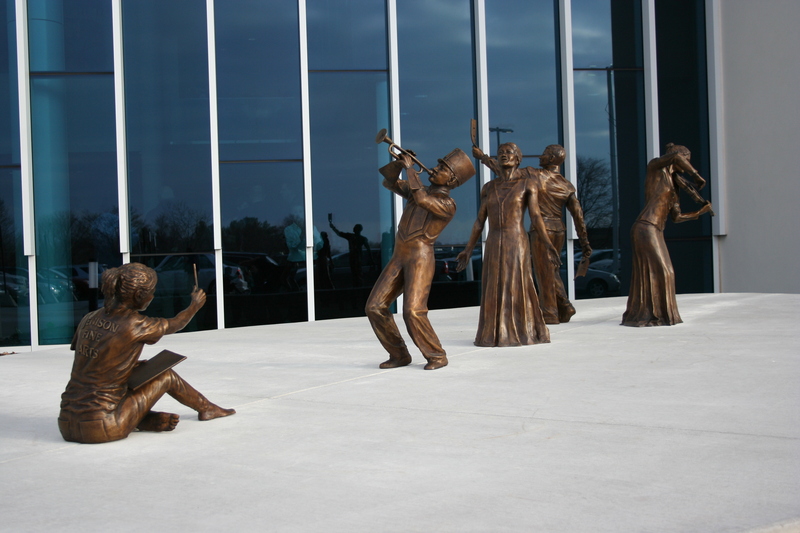 After two years and over 50,000 man hours of dreaming, designing and digging, the Jenison Public Schools Center for the Arts opened this week to hundreds of expectant community members. 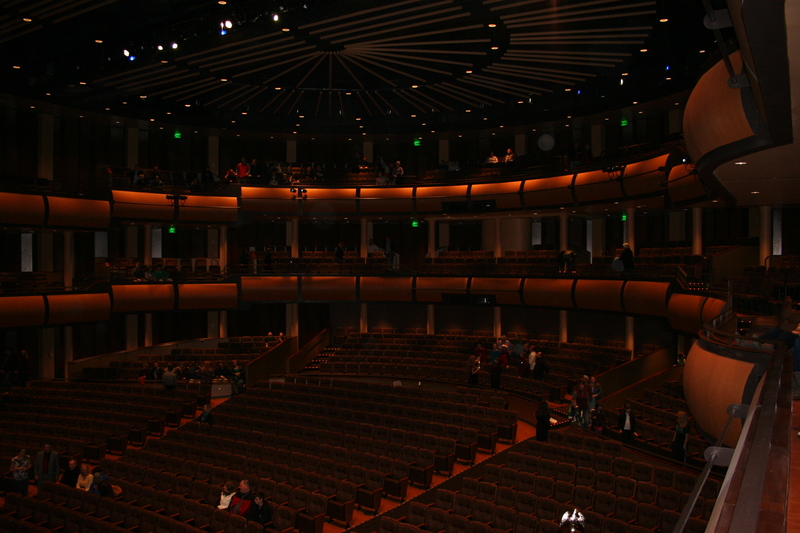 Supported with over 390 tons of steel and boasting 1,251 seats, we are so privileged to provide a beautiful, well-appointed home for the arts for generations to come, and above all, wish to thank this community for making this vision a reality. The stage, whose floor is certified by the American Dance Association, spans 90 feet in diameter and touts a one-of-a-kind retractable dividing wall, enabling casts and crews to better customize their performance space. 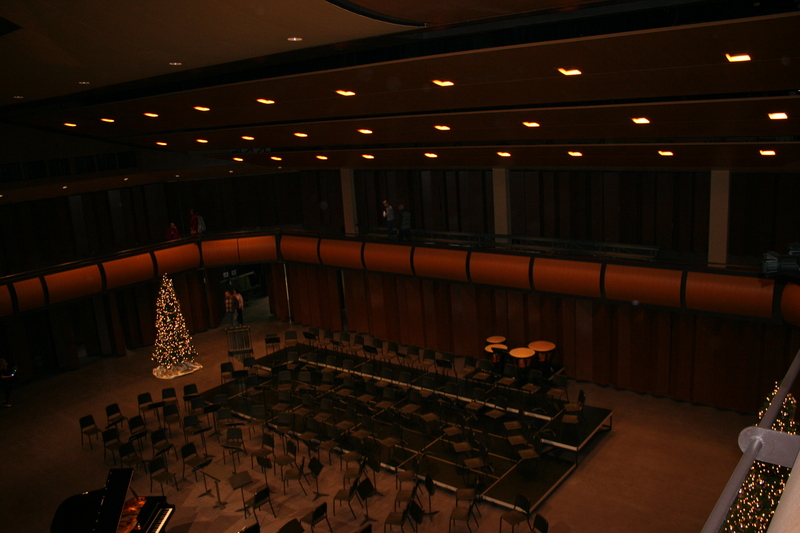 With over 3 miles of cables hidden beneath the stage and 60 locations for microphones, students will be heard–and seen– from any point in the hall. In fact, despite the soaring ceiling and custom wood chandelier, the furthest point from the stage in any direction is just 85 feet! Performances are also able to be broadcast live, with 8 different recording tracks available so that individual singers can be isolated out from the group. Finally, for comfort within the hall, air is circulated in the most “green” way possible. Beneath the seats are vents covering two chambers that perfectly mix both cool and warm air. Once blended at a precise temperature, heat seeps up from the floor rather than blowing audience members in the face. This technique not only ensures proper temperatures throughout, but reduces the electrical use that fan systems require. 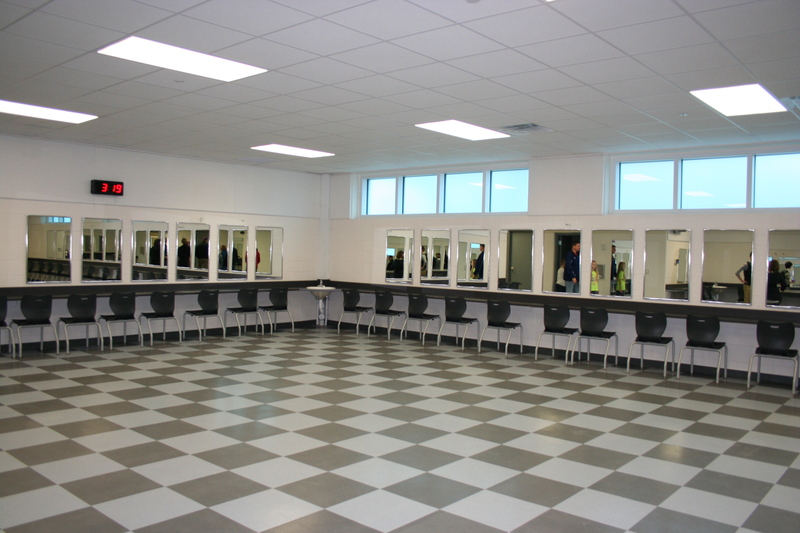 The make-up room stretches wide and has sinks in each corner for easy preparation and clean up. 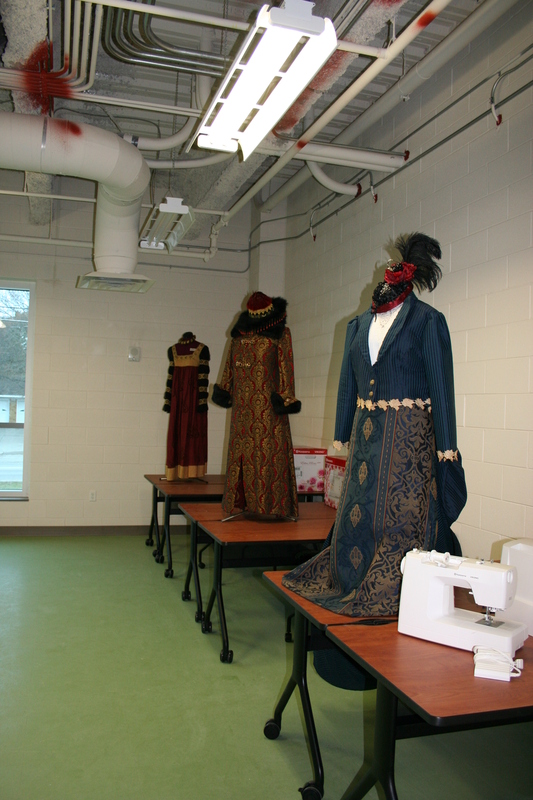 Costume rooms have sewing machines and a front-loading washer/dryer for a complete costume production experience. Sets are designed in-house in a specially-designed shop with saws, plenty of electrical outlets, and towering ceilings. Double doors protect each entrance to the hall, providing a sound-proof experience. 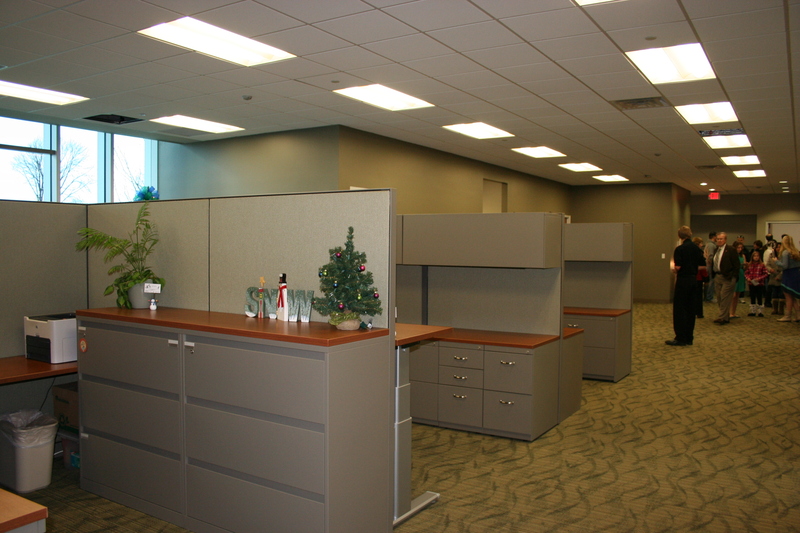 Walls are designed for acoustics, maximizing sound travel. 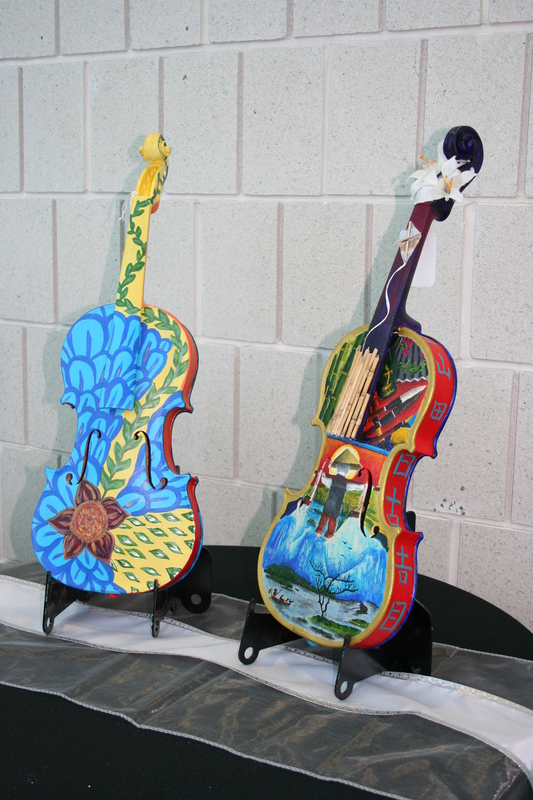 This holiday season, visitors will also enjoy the painted instrument sale whose proceeds benefit the Jenison Public Schools Art Department. 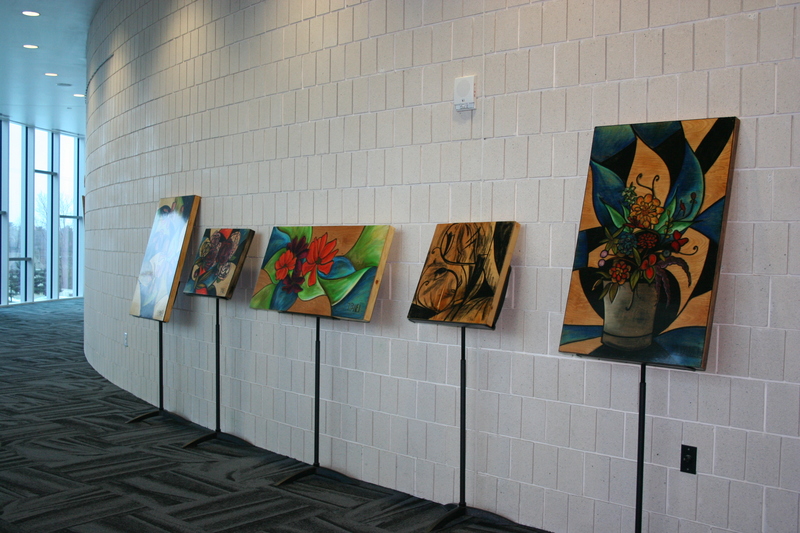 Please consider taking home a masterpiece this December! Until then, take a tour with us and leave a comment with your first impressions! 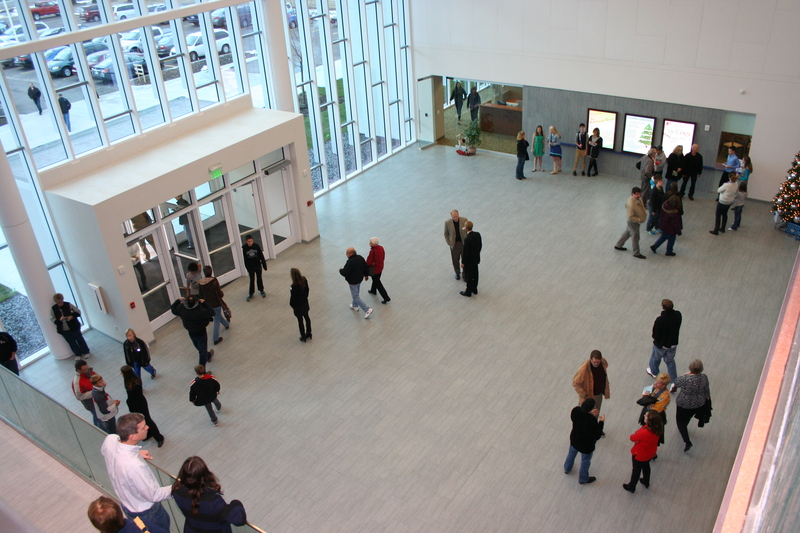 What most amazed you about our new Center for the Arts?